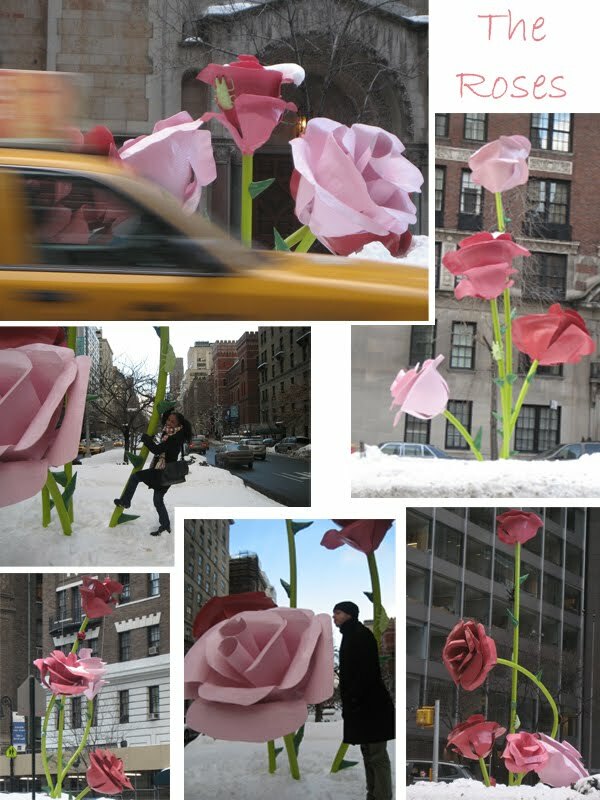 A few weeks ago, A. and I took a stroll along Park Ave. to check out artist Paul Kasmin's blooming installation "The Roses." 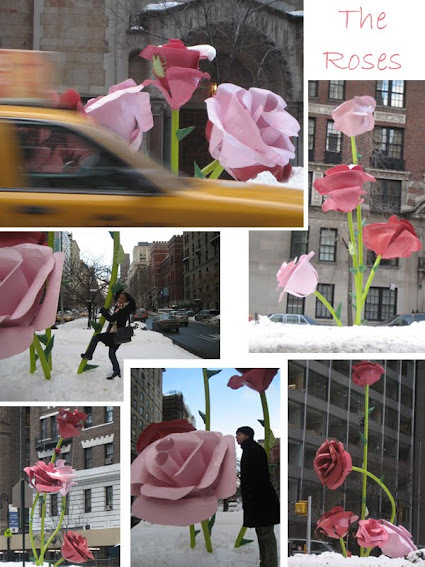 Thirty-eight pink and red rose sculptures as tall as 25 feet were placed along the avenue's mall between 57th and 67th streets complete with larger-than-life ladybugs, ants, beetles and bees. In addition, 20 rose petals are scattered about to create sitting areas once the temps go above freezing levels, I presume. They felt a wee bit out of place with all the surrounding snow, most of which has melted by now, but it was so nice to see such cheery colors amidst the dreary white and gray. "The Roses" will be on view through May 31, 2011 just in time for the real blossoms to dress the city once again. that's beautiful! I would love to see that in person! Those are so pretty. We don't have stuff like that in my town. I've got to go to NYC again soon. Thanks for sharing! So pretty! They always do such cool art installations in NYC. I hope I can make it to see this pretties! I'd love to be able to come and see that! Well you guys have some time to save up, buy that ticket and get over here! What a cool way to signify that Spring is near! There's one crawling down the tallest flower in the lower left hand picture. Okay, I would love to go see these. How cool. Those are awesome! I like those better than the cows that were out and about years ago.